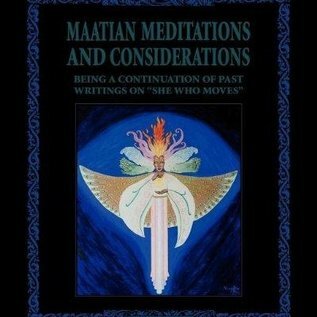 Maatian Meditations covers the ascent of the adept working in a Maatian context through Geborah, Chesed, The Abyss, Binah, Chokmah, and Kether. This is slippery territory and is treated by Nema with practical instruction, advice, and a subtlety proper to the elegantly evasive nature of the terrain addressed. Instructions include pranayama, or breathing exercises, utilizing the four pronunciations of the Maatian mantra IPSOS and possible roles of a "Mask-Dancer." 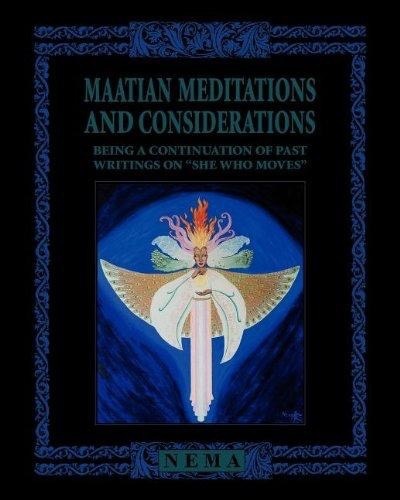 This book can be read many times with new understandings, wisdoms, and points of view manifesting in each reading.